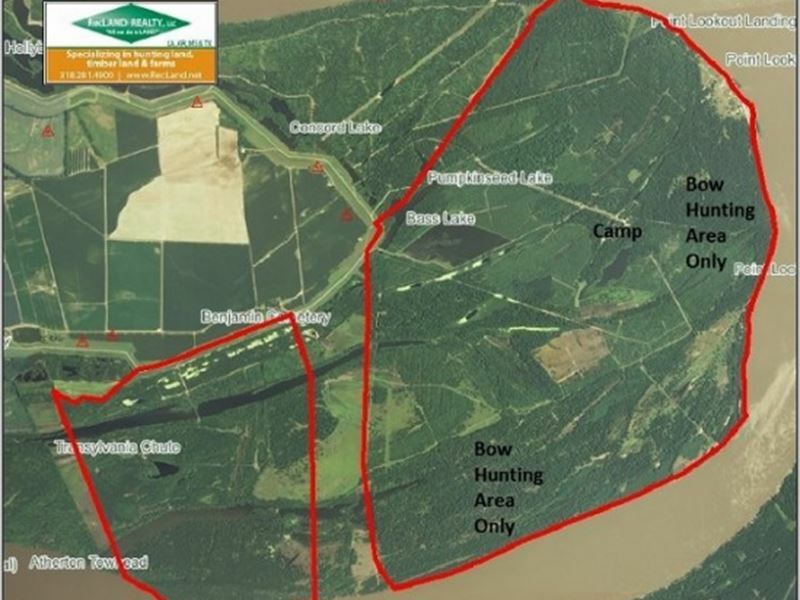 One ownership/membership share & new camp in Lookout Point Land Co, LLC on the Mississippi River in East Carroll Parish, LA Here is your opportunity to own a turn-key family-oriented membership in a company that owns over 6200 acres of prime Mississippi river bottom hunting ground. The tract is comprised of two parcels closely situated and inside the levee at Transylvania, LA. 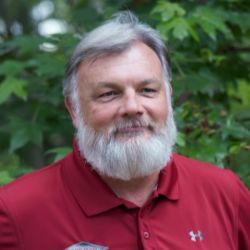 The deer hunting will be some of the best in the state and challenge any hunting tract in the Delta with both quality of mature bucks of overall size of the herd. There are over 60 deer standsmost of which are 2 man fiberglass box stands. Over 1200 acres is dedicated for bow hunting only in some of the more heavily wooded parts of the tract. 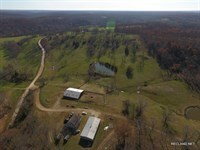 Hundreds of acres of food plots and the year-around feeding program are maintained by the fulltime care-taker. The club has been on user-friendly management program for over five years that is helping to grow large and mature bucks. The club utilizes Dmap for gathering and analyzing biological harvest data to manage the health and size of the herd. In addition to deer, duck, turkey and small game hunting, there are several lakes providing excellent fishing. The Club also receives alligator tags for its members use. There are almost 10 miles of MS river bank providing hundreds of acres of sandbar for many recreational uses. All of this is behind 2 electronic gates and accessed along miles of improved roads. There is an airstrip on the tract for members convenience as well as a helicopter medivax service for emergencies. The new camp has 2 large bedrooms and 2 full baths. Its all electric and has a municipal water source. The interior is completely finished in pine, cedar and cypress and is fully furnished. The exterior has a two-level covered porch and plenty of space for storage. The camp is built 14 off the ground providing covered parking for your vehicles. A common area kitchen/dining room and the large, covered skinning building are just a short walk from your camp. Each membership also receives a deeded lot on the MS river bluff where a large camp can be built overlooking the river. There are not many bluffs allowing this type of camp potential and view on the west bank of the MS river. The 29 shares comprising the total membership own the timber and most of the mineral rights. Millions of boardfeet of hardwood sawtimber and thousands of tons of pulpwood can be harvested to enhance the wildlife habitat as well as provide income for the members. The Club has already spent the capital to make the improvements, build the camp lodge, skinning shed and equipment barn, acquire the inventory of equipment and do all the hard work needed to turn it into the polished gym it currently is. The Club has no debt and the annual expenses for deer feed, labor and upkeep is minimal compared to many operations of this size and quality. Members receive a monthly financial statement. A new owner/member will simply be stepping into a great recreational situation in one of the most sought-after hunting areas in the South. Note Any prospective buyer must be approved by the Lookout Point Land Co, LLC members prior to a sale. Price $755,000 Call Pat Porter at or see the RecLand site for all our listings. 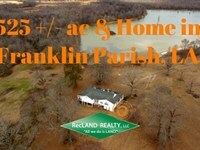 When calling broker, please say, "I found your listing Ownership & Camp In MS River Hu on LANDFLIP."